SDA Bocconi School of Management is making available two partial merit-based tuition waivers up to € 10,000 to 2017-2018 MPA candidates with an outstanding profile. Visit the website to learn more about scholarship opportunities and about the MPA Scholarship Fund student-led fundraising initiative Additionally, the School assists candidates with their search for funds by placing at their disposal the documentation required for loan applications. In particular, Bocconi facilitates opportunities for low-interest loans available to admitted students, thanks to agreements with some partner banks. The MPA program is primarily designed for international, post-graduate students and working professionals coming from all over the world, fluent in English and between 25 and 35 years of age. Smart solutions to public challenges. The Master of Public Administration (MPA) offered by SDA Bocconi School of Management is a one-year full-time program taught in English to students from around the world. It is an accredited Master which offers 70 ECTS credits. State-of-the-art scientific background, actionable knowledge, professionalism and openness to diversity make the MPA a unique, once-in-a-life learning experience for future managers of public interests. The MPA is designed for students who are looking for solid public management tools and want to pursue a managerial career in governmental and non-governmental organizations, international institutions, as well as private businesses working with the public sector. You find managing public interests not only useful but also highly rewarding. You are looking for a highly ranked School of Management with a strong reputation and a public management department founded in 1976, devoted to the development of applied public management studies through research and education and has a solid international reputation. You are an established professional seeking leadership responsibilities in the international public sector. Will provide you with the skills and tools required to be a manager in the public sector. Will also teach you about international policies and best practices, while encouraging you to have an independent, transparent and flexible approach to public management. You will benefit from the MPA’s collaboration with a network of governmental institutions, international organizations and NGOs, which could eventually become your next career move. Following the agreements signed between the universities, the Dual Degree Master students have an opportunity to apply to their second year of study at SDA Bocconi in Milan. 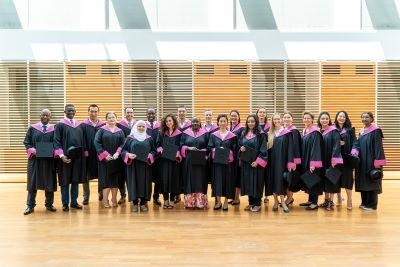 By combining their studies with the MPA at SDA Bocconi, the dual degree students are exposed to international methods and innovative ideas through overseas experience and gain different perspectives on the same challenges and processes of public sector management faced in their home countries. This also allows them to network internationally and increase their employability opportunities internationally. The leading School of Management in Italy and the only Italian School present in all of the most important International rankings (Financial Times, Bloomberg Businessweek, The Economist, Forbes), SDA Bocconi has established itself as a European leader in higher education. SDA Bocconi School of Management is part of Universit� Bocconi, the first Italian University to grant a degree in economics. For over a century, Bocconi has played a leading role in Italy’s social and economic modernization. SDA Bocconi has been engaged in the promotion and organization of executive education since 1971, with an International approach. The School’s vision of empowering life through knowledge and imagination lies behind its program offerings: Executive Education Open and Custom Programs, MBA and Master Programs, for the development of individuals, companies, institutions and economic systems. Choosing SDA Bocconi and coming to Milano means choosing a vibrant environment, the entrepreneurial, financial and industrialized center of Italy, a doorway to Europe. In short, a wealth of international contacts and opportunities. And Milano, of course, is culture, fashion, design, food and the art of living.